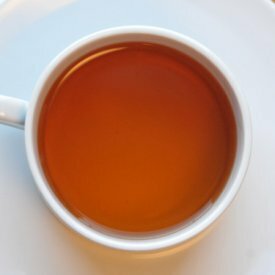 Darjeeling tea came into existence when the small-leaved Chinese variety of the tea plant was imported and planted in India in the mid-1800s. 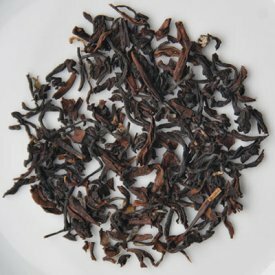 Darjeeling is known for its outstanding quality and has a taste and aroma that is highly desired, making it one of the most popular types of black tea. The later in the year the tea is harvested, the darker the color and the more full-bodied the tea. These teas are sometimes sold as a blend of more than one flush for a balance of aroma and flavor. 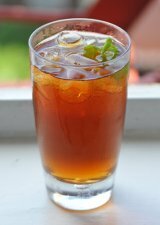 An Englishman named Dr. Arthur Campbell experimented with tea saplings in India and, in the 1840s, successfully cultivated tea in Darjeeling. Soon after, British tea planters developed an interest in the area and started commercial tea gardens in Darjeeling. The hills of Darjeeling were sparsely populated at the time so the British brought in workers from nearby Nepal. There are 87 tea gardens (or tea estates) in the Darjeeling District at the foothills the Himalayas. To be authentic Darjeeling, the tea must be grown in one of these tea gardens and processed within a defined geographical area. Tea that meets these critera bears the Darjeeling certification mark and logo, which is the property of the Tea Board of India. This verifies that the tea is 100% pure Darjeeling to ensure quality control over this esteemed tea.